Summer is here judging by the flowers in the garden but the temperature remains stubbornly variable. The blackbird’s nest on the wall opposite my window is a welcome development and keeps me a bit more grounded in nature. We are in the post-annual conference week, also known as Mega Week at the Start Network, as it covers five days of intense meetings starting with the Members’ meeting on Monday, May 18, the Donor Forum (renamed the Start Fund Council) on the Tuesday, our Annual Conference on the Wednesday, Members’ Day on the Thursday and an all-day Board meeting on the Friday. We are delighted at the level of support and engagement we received from our Members, Donors, Advisors and Partners. It was a time to remind ourselves of how much has been achieved by the Network and of the challenges that continue to require our attention. We have invited five new members to join the Network and are internationalising the membership as intended. Our new members are Goal, Norwegian Refugee Council, Mercy Corps, Welt Hunger Hilfe and Community World Service Asia. These organisations participated in a due diligence process, undertaken by Buzzacott, a UK accountancy firm, to enable us to assess their suitability as new members. Our existing members will all be required to undertake this due diligence process in the coming months so we have a standard and consistent approach to admitting members. The two ad hoc 12 month funding opportunities that were offered to us by DfID, one for Ebola preparedness and the other for CAR refugees in Cameroon, have offered a lot of learning opportunities and we will now be developing Standard Operating Procedures for future such responses. We have been working under the Start Fund framework of a few clear rules, high levels of trust and limited dialogue with the donor. We have learnt that we need a greater level of detail from implementing agencies and higher resourcing intensity at the Start Team level to meet the responsiveness and communication required by the donor for these ad hoc opportunities. We are working to bridge the gap between the two types of response so that we can continue to be light-touch while meeting donor expectations for detail and communication. In the meantime our members have experienced funding delays and we hope to get them the ‘cash’ by early-June at the latest. We are streamlining the governance & management of the Start Fund to reduce transaction costs and to enable us to move quickly on allocation and project selection. This means reducing from three Fund committees to one and increasing the level of discretion for Start Team members to make allocation decisions. We are improving our local project selection processes following feedback from Members at our Assembly meeting on 18 May. We are also exploring how the Fund can be more easily used for anticipatory response and to address slow onset crises. The nine Disaster Emergency Preparedness Projects (DEPP) projects are motoring, have already completed one round of reporting, and are now preparing for the next one. The first quarter was dedicated to creating enabling environments for each project within the overall framework of the DEPP – aligning results frameworks, agreeing governance structures, negotiating sub contracts and MoUs and the important job of recruiting the right talent for these interesting initiatives. The four additional projects selected following an idea crunch workshop in mid-March are now in the design phase and will launch later in the year. Nick Guttman who served the Network for three years as Chair has stepped down and we now have Paul Smith Lomas as Chairman. We are delighted to also have two other independents on board: Lola Gostelow, an experienced humanitarian and an independent consultant as well as Shaima Al Zarooni, Chief Executive of International Humanitarian City. We are now seeking two more Member trustees and an independent Treasurer to complete our Board of eight member trustees and four independent trustees. At our donor meeting last week we were given the go-ahead to move the Start Network to independent status so that we could operate under our own legal entity. We are now working up our plan to deliver this and will seek advisory support from our member agencies on specific aspects of policy and procedure. Our constitutional documents, the Articles and Bye-Laws for the Start Network legal entities, are substantially ready to be lodged with Companies House and the Charity Commission and we will take that process forward over the next few weeks. 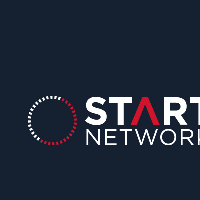 We have five senior vacancies now: Head of business development Start Fund, Head of Evidence, Head of Digital, Anticipation Advisor (maternity cover), Insurance Advisor (maternity cover) and are actively seeking talented individuals to join the Start Team. Please see our latest news for links to apply for these roles. Meanwhile humanitarian crises continue to occur and the Start Fund has been activated 11 times this year. We are all working on multiple fronts aware that we need to build the infrastructure for an independent Start Network at the same time as continuing to deliver services. Off to oil the wheels…..